Product Details Model : Nokia 5300 Part : Battery Quality : OEM Warranty : 10 Days* Deliver.. Product Details Model : Nokia 5800 Part : BL 5J Battery Pack Quality : OEM Warranty : 10 Day.. 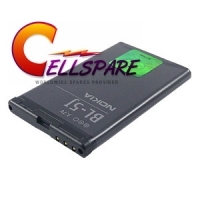 Product Details Model : Nokia 6500 Cassic Part : Battery BL-6P Module Quality : OEM Warranty.. 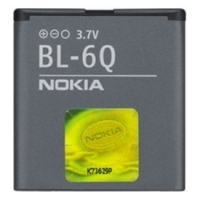 Product Details Model : Nokia 6700 Classic Part : BL 6Q Battery Quality : OEM Warranty : 10 .. 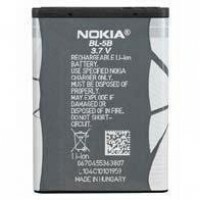 Product Details Model : Nokia 8800 Part : Battery BL-5X Quality : OEM Warranty : 10 Days* D.. Product Details. Model : Nokia 8800 Sirocco Part : Battery BP-6X Quality : OEM Warrant.. 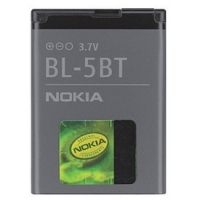 Product Details Model : Nokia BL 4C Battery Quality : OEM Warranty : 10 Days* Delivery : 10 .. Product Details Model : Nokia E72 Part : BP 4L Battery Quality : OEM Warranty : 10 Days* De.. 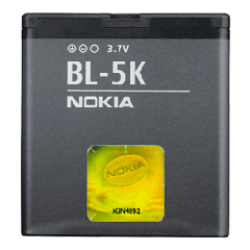 Product Details Model : Nokia N75 Part : BL 5BT Battery Quality : OEM Warranty : 10 Days* D.. 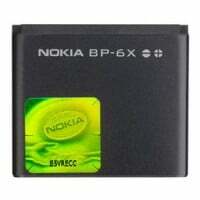 Product Details Model : Nokia N85 BL 5K Battery Quality : OEM Warranty : 10 Days* Delivery :..